Jimmy Feix a native of Henderson County, Kentucky, enrolls in WKU. 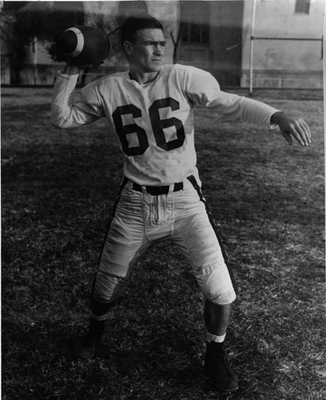 He is quarterback of the football team from 1949 through 1952. He returned to WKU in 1968 to serve as football coach through 1983. Feix remained with the Athletics department through 1993.